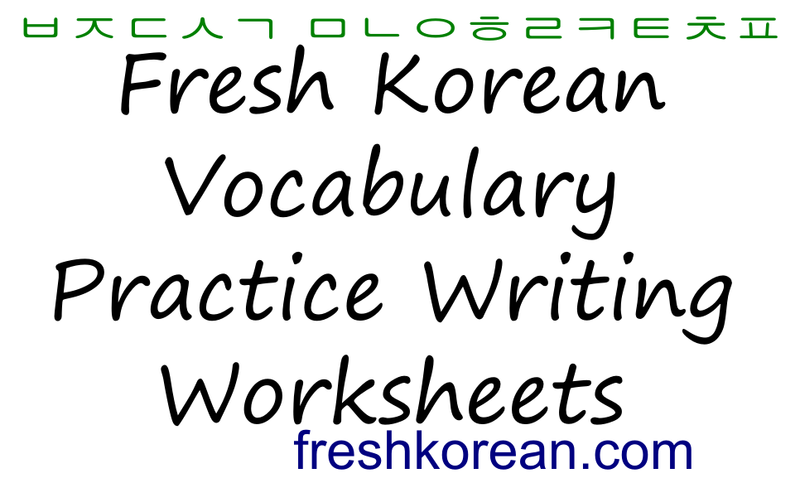 This is the thirteenth part in our brand new series for 2015 called “Korean Vocabulary Practice Writing Worksheets“. This series focuses on improving two areas vocabulary and writing. 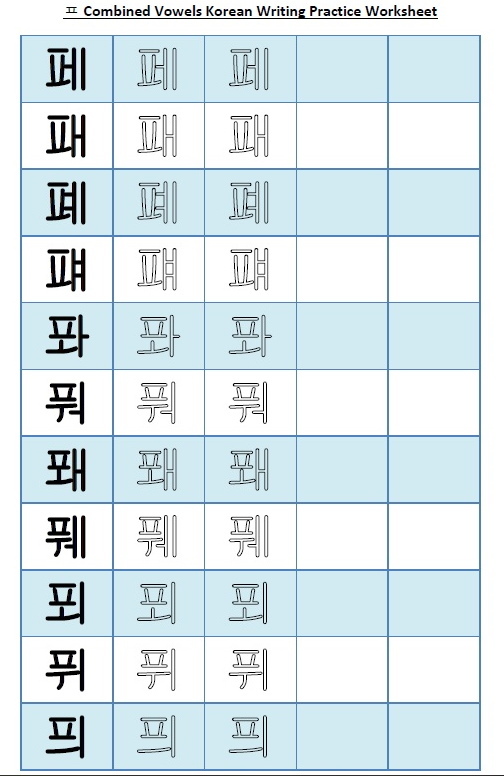 Each part looks at one of the 14 Korean consonants and has 8 words. Also all of these words only include a single consonant and are mainly 3 characters or less. This is to help beginners as these words are generally easily to read. This is part thirteen of our Combined Vowel Korean Worksheet Series. The thirteenth Korean character we are going to look at is “ㅍ” which has a sound similar to an English “P“. 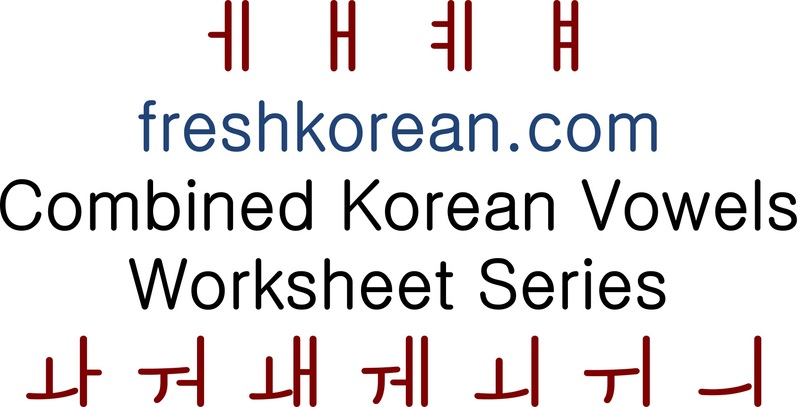 This worksheet includes all the different possible combined vowel combinations related to ㅍ. A couple example words which include the ㅍ with combined vowels are: 펜 = Paen (Pen) and 페루 = Pae/Ryu (Peru). To catch up with the last part 12 please click this link. Thank you for taking a little time to learn some Korean today and if you have any questions or comments please feel free to let us know. For more FREE learn Korean (Hangul) resources please check out our FREE RESOURCES PAGE.